I am a mom, like many others a working mom, who tries to fulfill all her roles to the most : trying to be a GOOD mom, friend, wife, employee but without losing my own essence, and at all times trying to just keep my lifestyle, being ME/myself and feeling good about everything I do and I become through my learning experiences every day. I come from Bolivia and I have been living in Berlin since April 2006, so it has been already 7 years, during which I managed visiting Bolivia 3 times (well 4 but this one I don’t want to count….you will find out why at some point during this process). The reason I decided to come to Germany you may ask? Well I got a scholarship while I was working in Bolivia. I always wanted to come back to Europe, after the first time I came when I was sixteen. You have to know it has been and it is still a long process, just being away from what it used to be “home” and how not to imagine how hard it was “deutsch zu lernen” (aprender alemán se los dedico), another culture and the simple fact of realizing you are on your own. 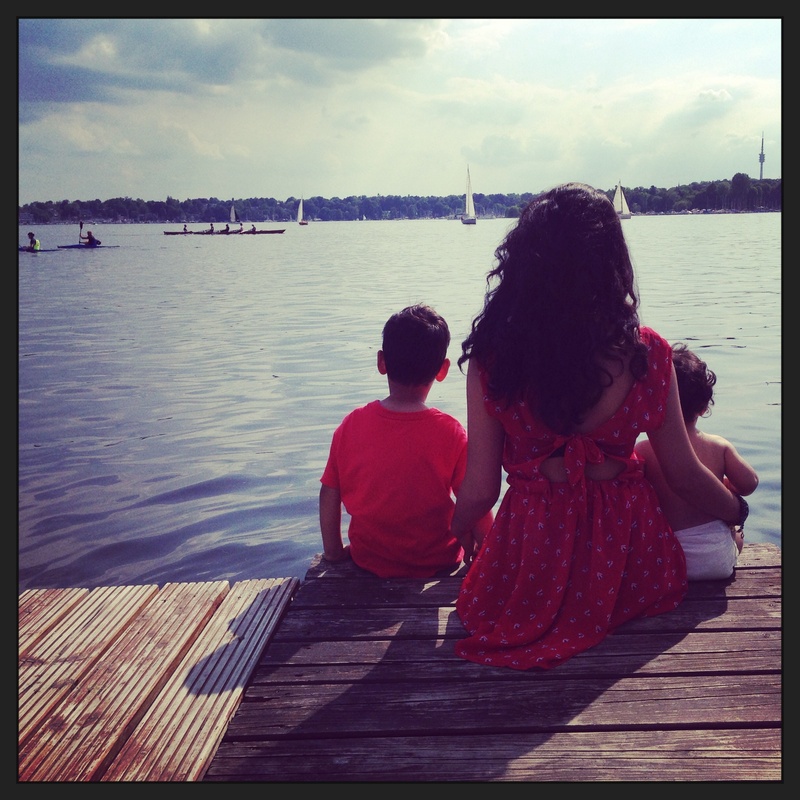 After 7 years of living here in Berlin, WE have become four: my Husband (34), my son (5), my daughter (1) and myself (31) so my own family is here; and I am starting to feel that home is wherever you have your love ones (so yes, my heart is divided between Bolivia and Berlin). To my everyday life belongs too, not only ups but downs as well and how I try to cope with all these on my own, so big part of showing my feelings is measured on how much I talk (and in this case how much I write), at least so my dad used to say: “the more the happier”. So you too…. will learn how to read me! Through all the people I have the chance to have in my life through all my experiences in my very short 30 years of life, is that I am really thankful. I considered myself a happy person and this is my way to share it with you, despite the downs that belong to life too. Just breath and enjoy the moment, it does never come back! The most important thing for me is knowing that I have a reason for doing this which is: learning from my own mistakes so I don’t mess up at my most important role of all: being their mom. Hope you enjoy reading and if you too want to share your experiences related to the subject or propose one, for any advices, aportes, críticas constructivas quedo a su disposición en contact me! For avoidance of doubt please note that all the information provided within this blog: “www.love2betheirmom.com” (My Blog) is for information purposes only. All the content of My Blog is based on my own personal experiences and thoughts at the moment and can be subject to change without previous notice and based on the circumstances life brings, therefore neither My Blog nor the author can be hold responsible for any damage caused herewith.